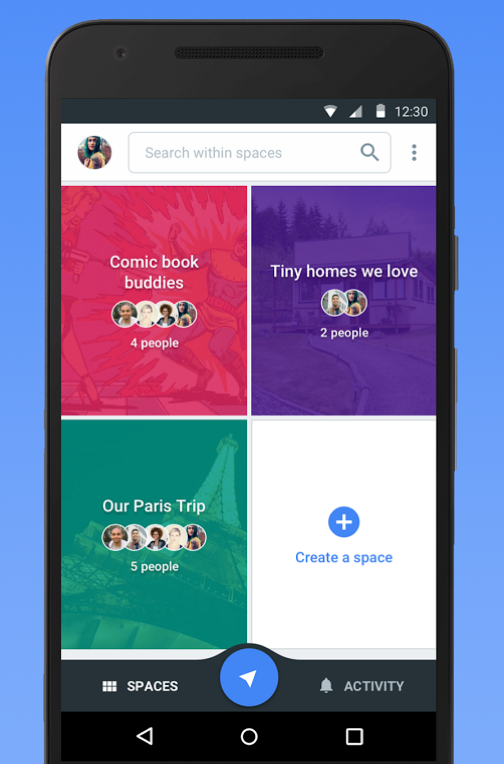 Google Spaces, the new group sharing app from Google that seems to be an app created specifically for Google I/O sessions later in the week and maybe not much more, is now live for all to use or…look at! 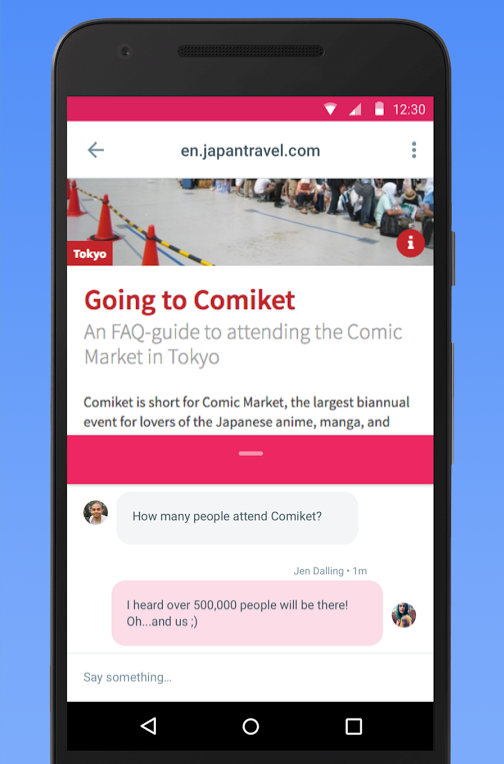 The app can be downloaded on Android or experienced via the web in all of its Material Design glory. I’ve been jumping around in the app for a few minutes now and am not sure that I, personally, have much use for it. These types of group sharing like apps are probably great within bigger organizations or fraternities or something, not a 2-man shop like DL. Also, if I were to use this with friends and family, well, it would be a hard sell when they already use apps like Hangouts or Google Keep. 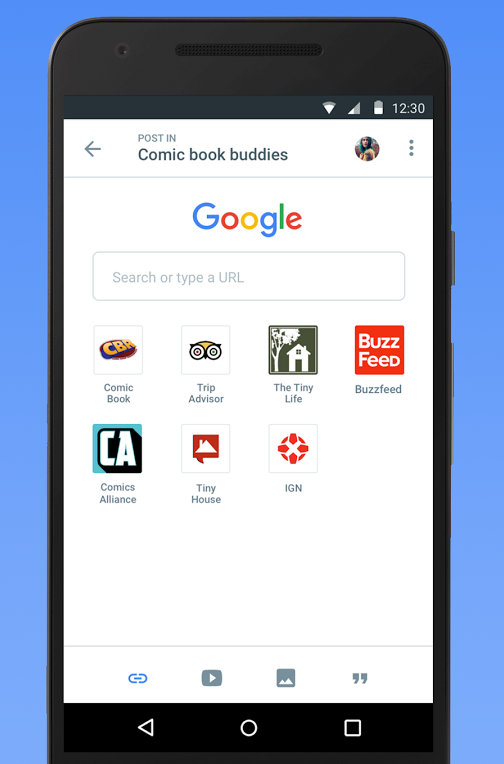 Sure, those aren’t apps aren’t designed with this same purpose, but they can be used in a group sharing sort of way. Will you want to use it? Maybe! 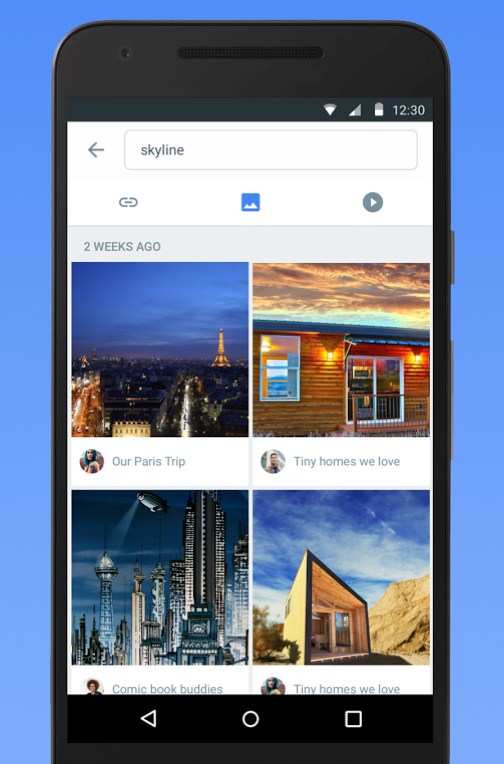 You’ll be able to create “spaces” for all sorts of things, add people to them, quickly add items to them through Chrome or YouTube or Photos or Search, leave comments and have a good chat about your space topics, and easily find it all later on with built-in search. 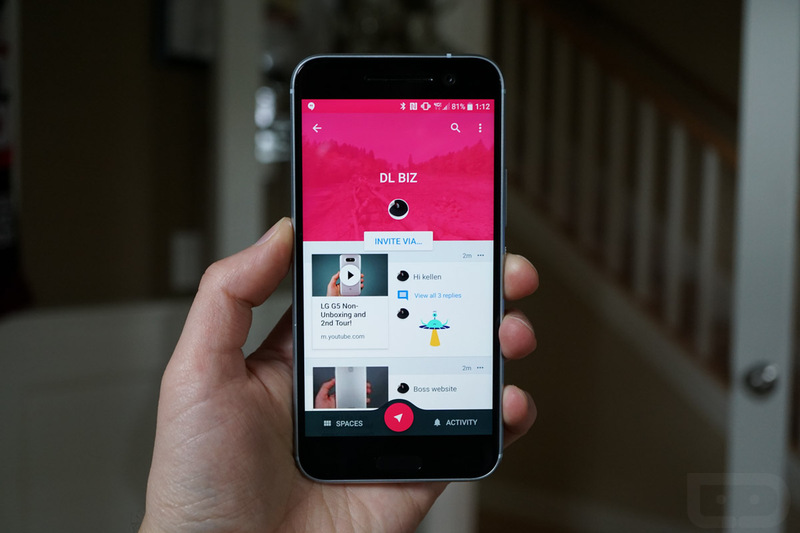 It’s a slick little app worth checking out if group sharing apps were missing from your life.